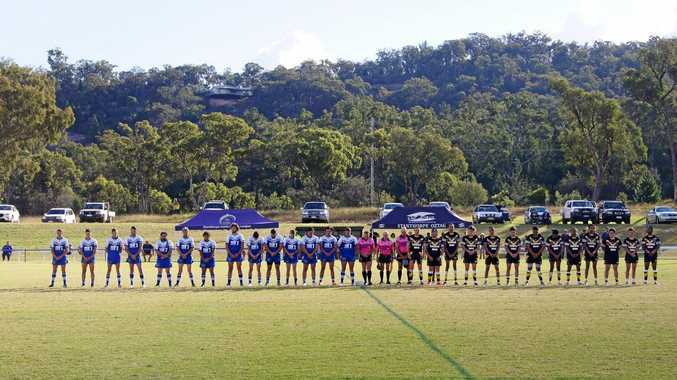 IN THIS weekend's round of Border Rugby League, the Stanthorpe Gremlins went up against the Tenterfield Tigers. Club spokesman Paul Shatte said the Gremlins are only a young side and are still learning but he thought this week's match was a big improvement for them. "Their defence got a lot better,” he said. Despite strong efforts, the Stanthorpe Gremlins lost 24-36 against the more experienced Tenterfield Tigers. The Stanthorpe Gremlins only had one reserve player. "If we had more reserves, it would have been good,” Shatte said. "We had a few opportunities in the second half but we just couldn't get over. Nigel Bonetto, who used to play football, had his first game for the Gremlins side. After his first game, Bonetto was named player's player. "He had a great game,” Shatte said. "Michael Marini and Corey Rashleigh played well, too. "Riley Taylor is not a big bloke but he took the ball forward all day. Shatte was very pleased with the crowd turnout and is hoping to encourage people to come to Inglewood next weekend to support the young Gremlin side.